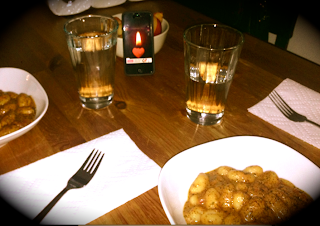 When my millennial daughter set the table for a candlelit dinner with her boyfriend, she didn't open a box of beeswax, she reached for her phone. This, to me, is the essence of what transmedia is. And why it's the future (or present) of storytelling. We've raised an audience who doesn't think that virtual worlds=fiction and nonvirtual world=reality. They think in terms of experiencing the world in all its natural and technological dimensions. No wonder the longest lines at SXWi were for digital storytelling sessions.